This article is about the Parisian street. For the 2006 French film, see Avenue Montaigne (film). Avenue Montaigne was originally called the allée des Veuves (widows' alley) because women in mourning gathered there, but the street has changed much since those days of the early 18th century. The current name comes from Michel de Montaigne, a writer of the French Renaissance. In the nineteenth century, the street earned some renown for its sparkling and colourful Bal Mabille (Mabille Gardens) on Saturday nights. Avenue Montaigne boasts numerous stores specialising in high fashion, such as Louis Vuitton, Dior, Chanel, Fendi, Valentino and Ralph Lauren, as well as jewellers like Bulgari and other upscale establishments such as the Plaza Athénée hotel. By the 1980s, the avenue Montaigne was considered to be la grande dame of French streets for high fashion and accessories, and is now considered more important than rue du Faubourg Saint Honoré. Several established clothing designers set up here, particularly the LVMH (Moët Hennessey Louis Vuitton) group. LVMH brought investment and international attention to the street, and its stable of top designers and firms, such as Céline, Louis Vuitton, Inès de la Fressange and formerly Christian Lacroix, own a substantial portfolio of the street's real estate. 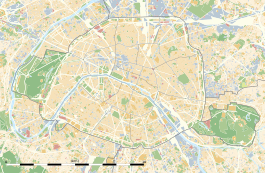 In 2009, the Comité Montaigne presided over by Jean-Claude Cathalan has launched a website with an interactive map. The Canadian Embassy was previously located at 35 avenue Montaigne. Actress Marlene Dietrich maintained an apartment at 12 avenue Montaigne for many years, and died there in 1992. During her last years, Soraya Esfandiary-Bakhtiary lived at 46 avenue Montaigne. At 15, avenue Montaigne stands the Théâtre des Champs-Élysées. The pavilion for the arts display of the Exposition Universelle (1855) was on Avenue Montaigne. In 1913, Avenue Montaigne got both the Theatre des Champs Elysees and the Plazza Athenee hotel which created its fame. On 4 December 2008 the Harry Winston boutique at No 29 was robbed of more than €80 million (about US$100 million) worth of "diamond rings, necklaces and luxury watches" by a "gang of three or four" armed men just before closing. At least two of the thieves were men wearing "wigs and women's clothes. "It had also been robbed in October 2007, when a similar heist netted the robbers about €20 million. ^ "Avenue Montaigne". Paris Digest. 2018. Retrieved 2018-08-08. This page was last edited on 28 November 2018, at 13:43 (UTC).